There are many reasons for love of cooking and Italian food. One is pure necessity: we have to eat anyway so why not make the most of it? As you gradually learn new skills, the task of preparing enjoyable food also becomes easier and (nothing short of a miracle) even your baking skills improve to the level of mere occasional disasters. Another source of motivation for me is what I like to call mamma mia moments. They are those occasions when you just happen to find such a perfect recipe that so brilliantly strikes a chord that all you can do is utter a satisfied “mamma mia”. These mamma mia moments do not occur every week nor every month but when you come across one, you certainly appreciate it! Some of my mamma mia moments are definitely linked with Italian pizza. However, the most recent one I had when we made this fantastic pasta dish from the July 2015 edition of La Cucina Italiana. In fact, my partner and I were so baffled by our success that we are afraid to try the recipe again in case it was just an unrepeatable stroke of pasta luck. But now after our second attempt of equal success, I am happy to share it with you as well! 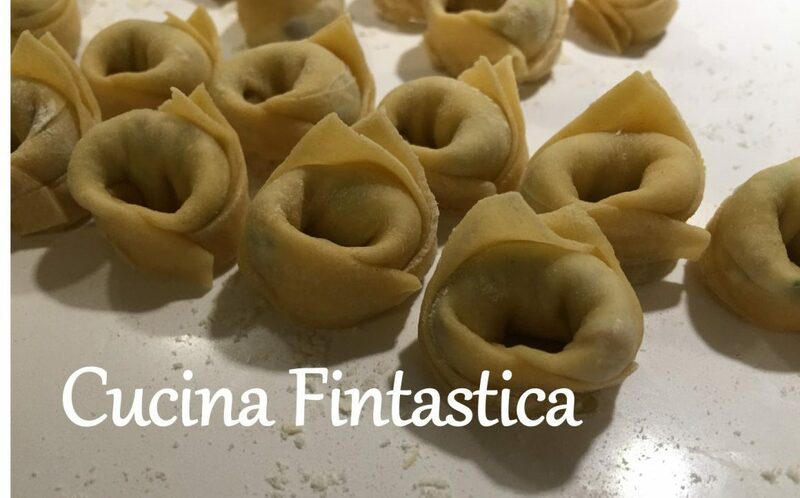 The method to prepare the fresh pasta is quite interesting and relatively fast. You do not need a pasta maker at all. Instead the pasta paste/ dough is rolled out with a rolling pin. After that it is wrapped into a roll, the roll is cut into pieces and the pieces unrolled. In addition to the tasty pasta, the sauce combining lime, creme and white cheese is just superb. If you use mangold, cook it in unsalted boiling water for 10-12 minutes. Drain, wring out the cook mangold (to remove as much of the cooking water as possible) and weigh it (not sure why this recipe is saying this but apparently it should weigh 100 g). Mix the mangold into small pieces/ paste in a blender. If you are using fresh spinach, a few minutes of cooking is sufficient and you don’t need as much fresh spinach as mangold. Knead the flour with the eggs and blended mangold/ spinach until you have obtained a soft dough. Cover it and let it rest for 30 minutes. Grate the limes or cut the lime zest with a knife (don’t use the white part, only the green). Then squeeze out the lime juice. In a pan, melt the butter and a thread of olive oil. Add the grated/ cut lemon zest and let it gather flavour for 2 minutes. Add the lime juice and season with salt. Finally add the cream and the cheese. Once the cheese has melted, switch of the heat. Roll out the dough with a rolling pin to a sheet (not too thin, ~1 – 1.5 mm thick). Sprinkle a light layer of flour on the sheet. Then with your hands, carefully wrap the sheet (lenghtways) to a roll. Don’t make the roll too tight. Cut the roll with a knife into sices (about 1-2 cm thick). Finally unroll the slices and place each tagliatella next to each other on a floured surface. Carefully transfer the tagliatelle to a kettle with salted boiling water and cook for 2-3 minutes. Drain the tagliatelle and combine with the lime sauce. Serve immediately.